This is the portfolio for my video, graphic and website work. To view my photography portfolio, please click here. Click on the logo to view the work. 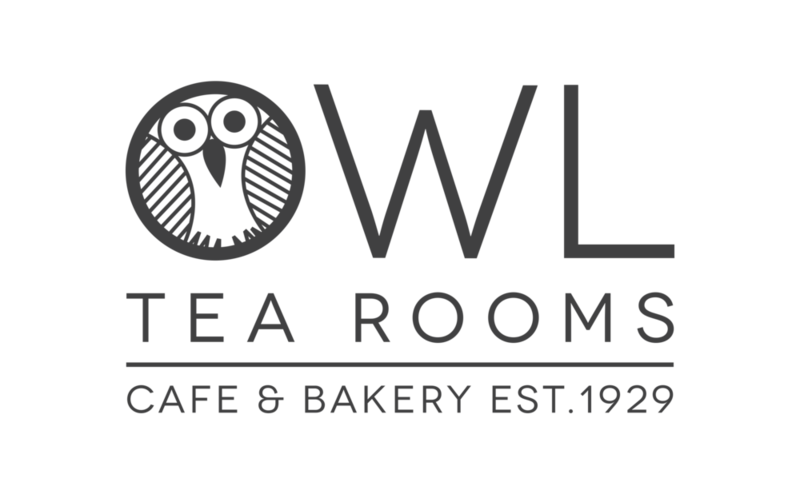 The Owl Tea Rooms is one of the oldest tea rooms in Norwich. After 34 years in one family, the Owl has now been passed on. Claudia Pollinger and Ben Philo re-launched this iconic café in April 2017. 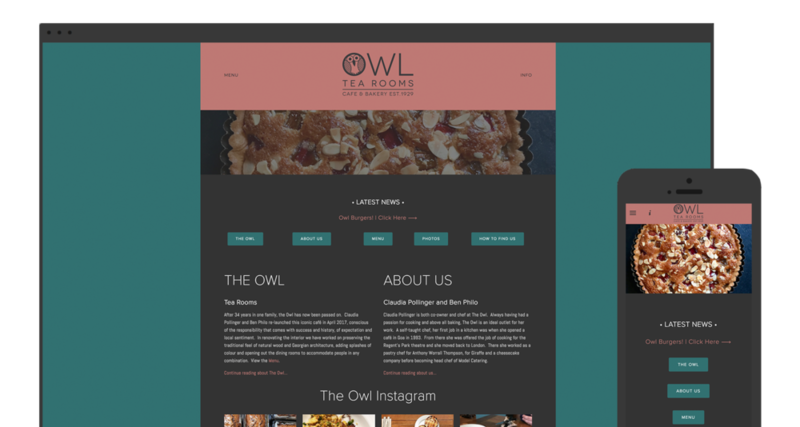 The idea of the website was to be rich in photographs of the food and goods the Owl Tea Rooms offer. With an integration of their Instagram account, the homepage of the website is updated regularly. There is an online menu available for customers. The website works very well on all devices, desktops and mobile. Theritas is a family run, traditional taverna in Acharavi in the North of Corfu. For 30 years they have specialised in Greek and Corfiot cuisine. The website was designed as a simple way to view the menu of the restaurant, book a table and view some of the photographs of the food. The blue colour is typical of Greece and this is to reinforce the traditional Greek aspect of the taverna. I designed the Theritas logo to their specification as well as utilising the design of the website into their physical menus; using the same font and mirroring the blue border. I translated the menus into Greek, German, Italian and Dutch. Lena Mare is a boutique hotel in the popular tourist town of Acharavi in the North of Corfu, Greece. The menus were designed using the existing Lena Mare branding as well as matching the style of the newly renovated rooms and the outdoor bar and swimming pool area. The font is concurrent throughout each menu design and other texts the hotel provides. Hand To Hand are a same-day courier delivery service based in the North of Corfu. They offer delivery of various goods to and from Corfu Town. The website is extremely simple, a very clean and easy-to-use website, with both English and Greek language. The colours mirror the branding of the company. Corfu Estate Agents are a well established Estate Agent based in the North of Corfu, Greece. They have been selling property in Corfu for over a decade now and have gained a wealth of experience during this time. I designed the website with a clean, simple and modern theme running throughout with ease of navigation being central to the end user. I have filmed and edited videos showcasing high-end villas and properties. The logo was designed by myself in Photoshop to the client's preference. A clean design was employed to mirror the nature of the company and reflect the website's design to further company branding. The Voice Agency is a London based voiceover agency where every voice, every style, every character is covered by a carefully selected range of talent - from seasoned professionals to vibrant new voices. I designed the website with a vibrant purple colour throughout which reinforces the company branding. The website includes different audio tracks which can be streamed and listened to without the need to download the tracks first. The website is quick to load and incredibly simple for the client to find which voiceover artist suits their needs best. Tiny Tweeds is a UK based bespoke baby clothing company. 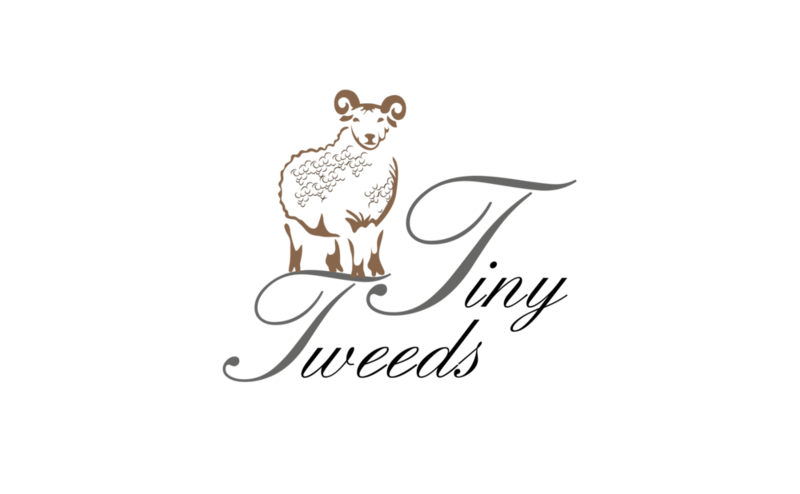 They produce clothing and accessories made from tweed that has been organically produced from Shetland sheep in the field to the finished item in collaboration with local Devon craftspeople. I designed the Tiny Tweeds website with simplicity, ease of use and navigation in mind, with a clear colour throughout which furthers the company branding and an extremely in-depth commerce system. The website is user-friendly across all devices. I have developed the company branding through the use of graphic design such as an advert that was printed in the Town and Country Spring 2017 magazine as well as other online adverts. S-Bikes is a bike rental company based in North Corfu, Greece. They organise community events as well as an expansive rental service for tourists and locals. They also organise mountain bike tours throughout the stunning vistas of the island of Corfu. Doukades Villas is a company who rent out high end villas on the island of Corfu, Greece. The Doukades Villas website was built with photos and images being central to the end user. Information is displayed clearly. The website features a fully-fledged booking system where the end user can view available dates to book the high end villas during the season all the way through to payment. I created a calendar booking system for the owner where it is easy to manage bookings of clients. I worked with my sister, Ellie Daeche in creating the logo for Doukades Villas with the idea of the olive tree being the basis as it is a symbol of Greece. 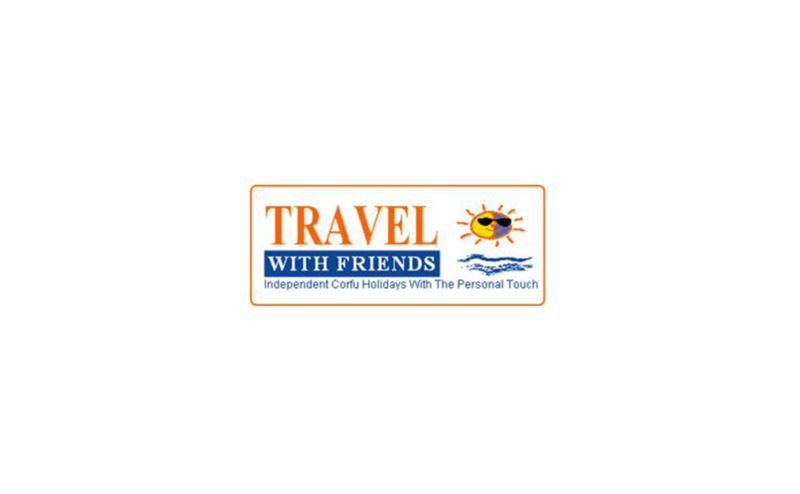 Travel With Friends is a small, specialist company with exceptional knowledge and experience in providing self-catering accommodation in Corfu, Greece. Jimmy's Hotel is a family run business based on the North coast of Corfu, Greece. I started my YouTube Career in 2008 editing gaming videos. I mainly stuck to the gaming genre throughout my time on YouTube. I have owned many channels earning over 30,000 combined subscribers and a total of 17 million video views in total. In 2010, I was one of the first Machinima Premium Directors and YouTube partner, meaning I would earn advertising revenue from video views. I have taught myself how to proficiently use programs such as Photoshop for graphic design, Final Cut Pro and Sony Vegas for all video production. This has contributed to my current work in designing, editing and production. Throughout my time on YouTube, I have obtained permission from popular music labels such as Monstercat Media, Red Bull Records and FiXT Music including many other individual artists. I have also been sponsored by companies including KontrolFreek and Elgato. I am also affiliated with several advertising agencies including the Ayzenberg Group. Griffon Capital is a corporate finance adviser based in London and Hong Kong. They apply their wealth of experience, market knowledge, extensive contacts, expertise and imagination to deliver independent objective advice always with their clients' best interests at the heart of what they do. I designed the Griffon Capital website with a clean, simple and modern theme running throughout. Pictures of London and Hong Kong were edited and used to the client's preference. The Griffon Capital logo was designed from scratch by myself in Photoshop to the client's preference. A clean design was employed to mirror the nature of the company and reflect the website's design to further company branding.